Welcome to the first challenge with A Blog Named Hero for 2015. This is my first challenge with A Blog Named Hero too. So excited to share with you! Eeek! Yay! Here is the new challenge for you. Yes! Use those tiny weeny stamps in any of the Hero Arts stamp set to make your card for the challenge. I have used the trio of stars and the balloon images Monster Fun stamp set from Hero Arts on my card. I picked orange and navy as my colour combination. The sentiment is from Many Birthday Messages from Hero Arts is stamped on white cardstock using black ink and heat embossed. I then trimmed the cardstock to fit on the card front. 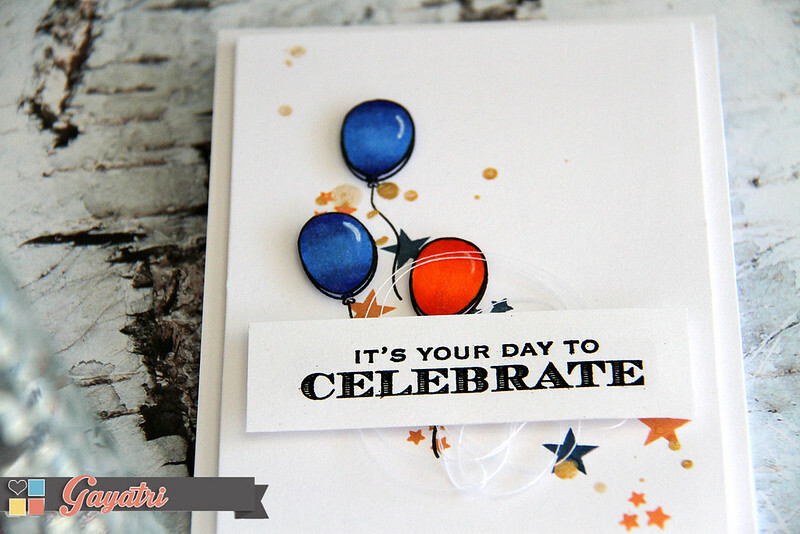 I stamped the stars in orange and navy on white card panel. Spattered some gold Colour Shine from Heidi Swapp and left it to dry. The balloons are stamped and coloured using copic markers and then hand cut out. Stamp the balloons on the card panel where you want them. Adhere the cut out balloons using foam adhesives. Bunch up some thread and adhere behind the sentiment panel before adhering the panel on the card panel using foam adhesive. Then the finished panel to the card front. Check out A Blog Named Hero for more design team inspiration and linky to play along the challenge. The little balloons are awesome.Love this. 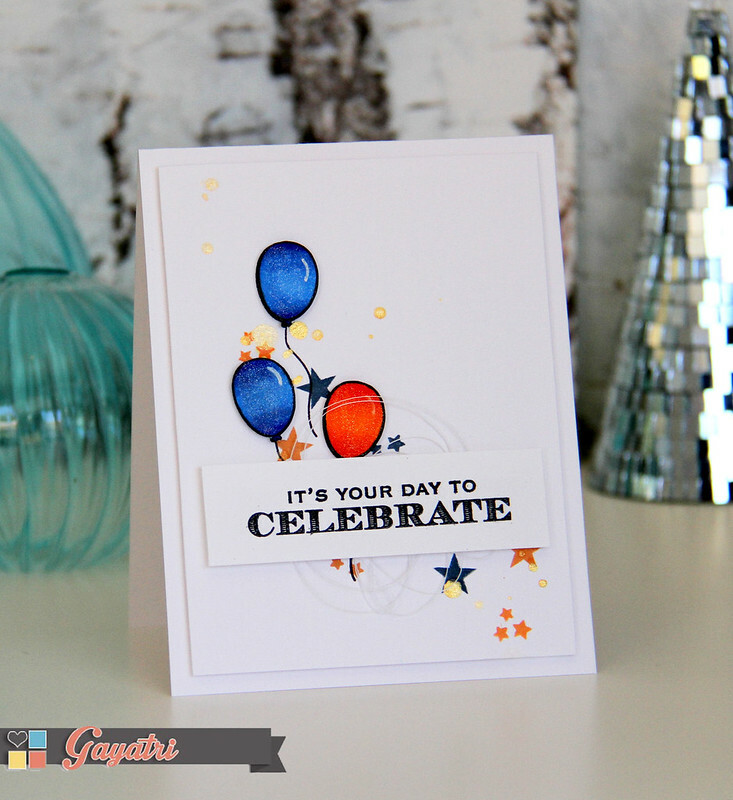 Gayatri, your card is beautiful!